1205 Via Presa is a fantastic townhouse located in the gorgeous coastal hills of Rancho San Clemente. This location is great as it's near employment near the RSC & Talega business parks, as well as just a short jaunt down to the freeway. From here you are about 5 minutes away from a number of the most famous beaches in the world. The HOA has pools/spas for your relaxation pleasure, and a great place to meet your new neighbors. The home itself is a brilliant floor plan, featuring a bright open living room with dramatic 18-20' ceilings. You'll appreciate the flow of the floor plan that is designed for ease of living, with a wonderfully remodeled kitchen featuring hardwood cabinets, stainless appliances, and gleaming granite counter tops. Even the refrigerator is included! The whole house was just painted in a very neutral and pleasing designer color that pairs well with the light wood toned durable flooring. This home features dual master bedrooms with vaulted ceilings upstairs, divided by a charming hallway that overlooks the family room. This location is deep into the tract, well away from the busy entrance and road noise. This home is perfect for either first time buyers, transplants coming from out of state adapting to the cost of living in SoCal, or even empty nester's looking to downsize, yet remain in paradise; I mean San Clemente. This one is exciting. Directions:Calle Del Cerro to Vista Montana, turn left onto Via Presa. Toward the end on the right. SchoolsClick map icons below to view information for schools near 1205 Via Presa San Clemente, CA 92672. Listing provided courtesy of Michael Bojorquez, Coldwell Banker Res. Brokerage. 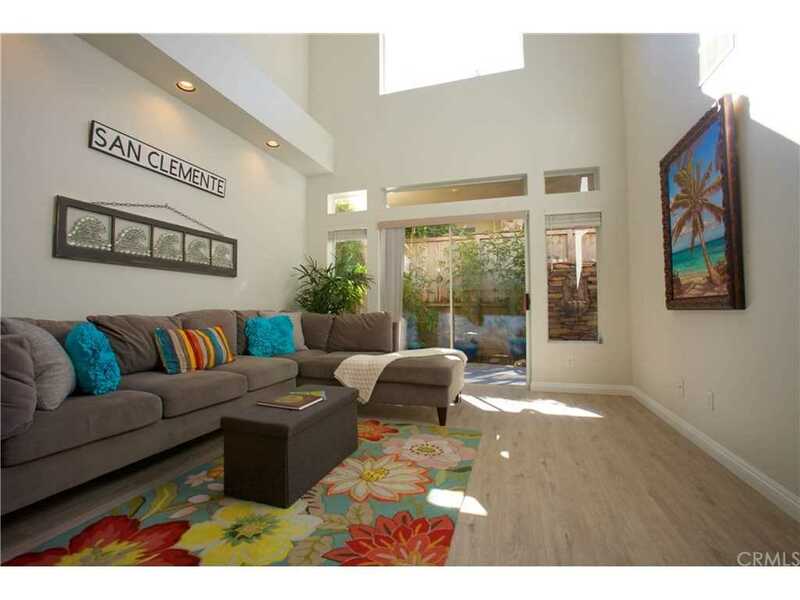 Home for sale at 1205 Via Presa San Clemente, CA 92672. Description: The home at 1205 Via Presa San Clemente, CA 92672 with the MLS Number OC18253972 is currently listed at $569,000 and has been on the San Clemente market for 76 days. You are viewing the MLS property details of the home for sale at 1205 Via Presa San Clemente, CA 92672, which is located in the Vilamoura (Vmo) subdivision, includes 2 bedrooms and 3 bathrooms, and has approximately 1434 sq.ft. of living area.